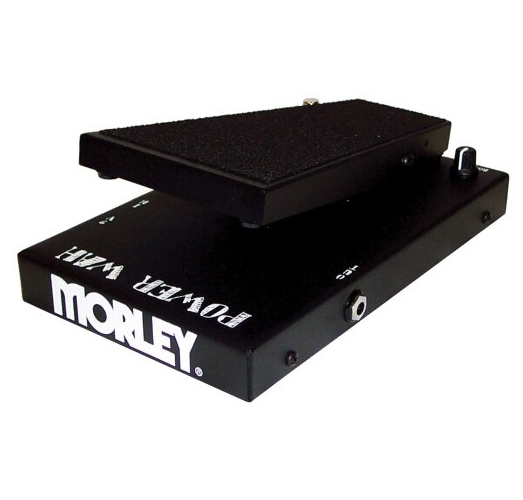 The Morley PWO Power Wah pedal takes vintage wah tone to the next level with modern appointments, generating real vintage wah sounds but also including modern enhancements for reliability. Morley's custom HQ2 inductor serves up real-deal wah tonality while electro-optical circuitry eliminates pots that can wear out. TrueTone bypass (custom buffer circuit) keeps both your wah and unaffected tone from suffering any signal loss or tone change. Includes a level control, easy-access battery compartment, and LED indicator. The Power Wah is housed in a rugged cold rolled steel housing that'll stand up to maximum abuse. Dimensions (WxHxD): 5.88 x 2.75 x 9.13 in. Musicworks offers a wide range of pedals from Ashton, Ibanez, Yamaha, T-Rex, Red Witch, Crowther, Zoom, Dunlop, MXR, Way Huge, and Morley. Find the right distortion, overdrive, wah, flanger, chorus, delay, reverb, ring modulator or whatever you need for your sound.